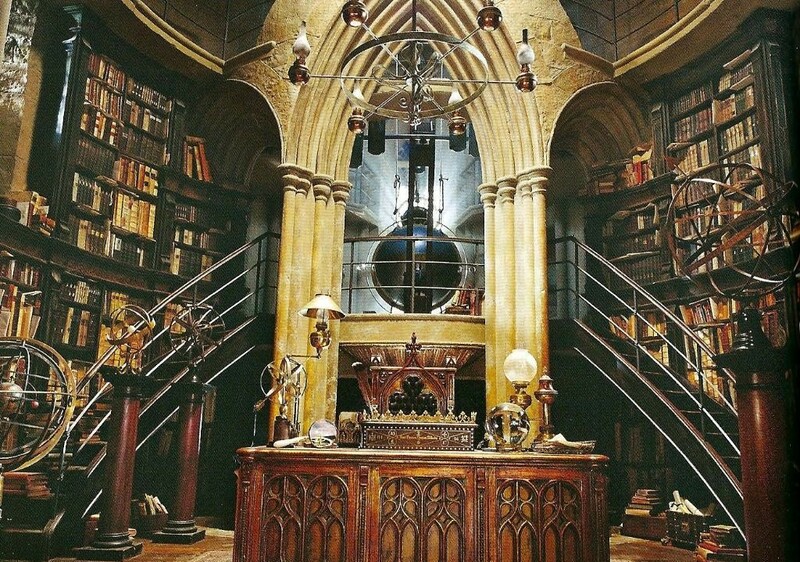 Walking into the props department on set of Fantastic Beasts: The Crimes of Grindelwald was like walking into a store full of Wizarding World merchandise. Head Prop Maker Pierre Bohanna greeted us amongst shelves of textbooks, bottles, wands, bags, papers and odd parts for various scenes in the film. 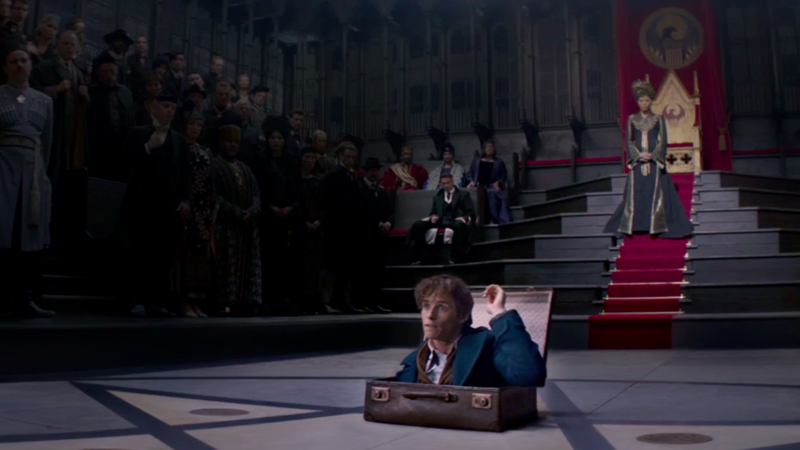 In front of him was a table of never-before-seen wands, some Hogwarts textbooks, Newt’s briefcase, a strange dictaphone, a crystal ball, a strange vacuum, and two objects very familiar to Potter fans! 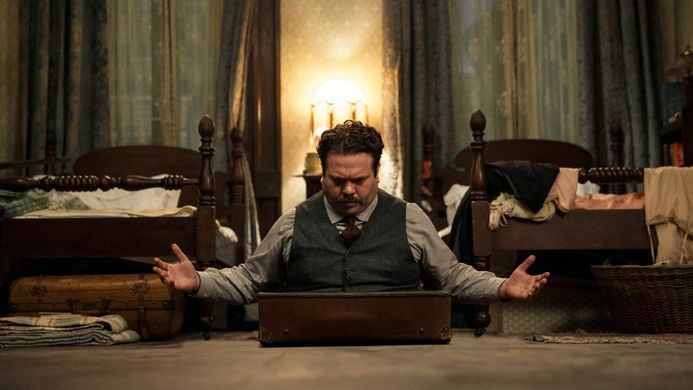 Read on to find out more about the wands of Theseus, Flamel and Newt’s assistant, Bunty, some props from various new settings in Crimes of Grindelwald, and a few props taken from Warner Bros Studio Tour London for use in Crimes! 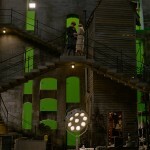 This set report will disclose firsthand exclusive details about the props in Fantastic Beasts: The Crimes of Grindelwald, connections to Harry Potter, as well as details on settings and characters not in the trailer. Everybody works together to facilitate the shoot, meaning hundreds or thousands of replicas can be achieved – it’s no small feat! “Our wonderful, talented painters as well, the fantastic Ruth, and her team, just amazing. They make it convincing, really, so old skills and new skills. But you’ve got to understand how pieces work and how they have to perform and actually have to work with in a film as well. “Someone who’s obviously very old, and got a very classic art feel… There’s a horn section there, so something sort of quite individual. The interesting thing as far as wand design’s concerned is an application of period as well. It’s a great period in time where in an artistic sense there is a lot of liberation and a sort of rethinking of styles, et cetera, and it really kind of shows. “Queenie’s is always lovely because I think it’s just such a– it could only have come from one period, really. And I think it’s such a lovely deco piece. 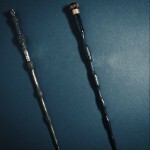 We also see a wand with an acorn on the end, and a leaf carved into the handle – a delicate, intricate wand with a “nice class” shape and wooden finish, we’re told that this belongs to Newt’s assistant, Bunty! In what appears to be ‘the Flamel section’ of the table, we’re shown a crystal ball of his (apparently alchemists aren’t averse to bit of divination, Trelawney would be pleased! ), and then Bohanna draws our attention to THE Philosopher’s Stone, on a stand holding it in the air. 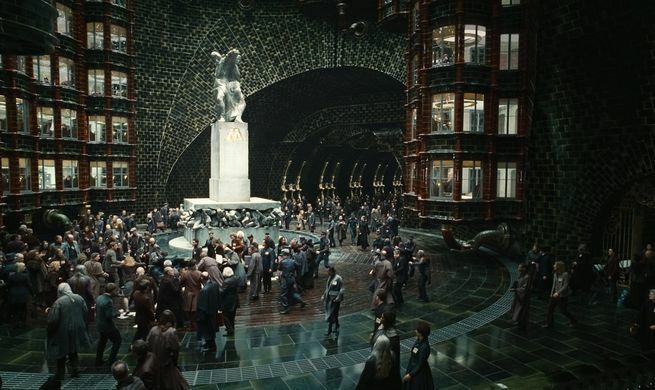 Flamel’s reputation as the immortal maker of the Philosopher’s Stone and the Elixir of Life is well known to Potter fans, so the role of the Philosopher’s Stone in Crimes of Grindelwald is certainly intriguing. We previously theorised that Grindelwald could be looking for the stone (here), but truly, we’re in the dark! “First of all, when they originally filmed them, because of the nature of the light and because the translucent red is actually very difficult to light. It’s very reactive. So we ended up making a set of them, about five or six of them, different densities of reds. All the same tone, but just different strengths, because if it’s in the hand it tends to get darker and it gets very deep, deep blood red, whereas if you’re holding it up and the light’s going through it it gets very light. “We have a- a French Ministry or the Ministry of Magique and there’s some lovely large dressing pieces, multiple pieces and big officescapes. And so we’ve produced these ticker tape typewriters, so that each desk has these wonderful keyboards which are actually our interpretation of an original ticker tape keyboard. We’ve enlarged them and changed them slightly but they’re a lovely idea. “When you get properly introduced into the Ministry, the introduction shot was originally when it was empty and there was a hoover chugging way behind and it never made the final cut because of the usual, you know, time constraints. There are papers coming out of the dictaphone, giving details on the hearing, listing Newt, Travers and Theseus as being among the attendants – who knows what trouble they’re in for in Crimes! “Obviously there’s prop ones and the effects ones … There was stunt ones, rubberized ones. There’s a standard one there. This is an effects one where in the previous film where Jacob goes into for the first time and they had a false floor and this wonderful rig that he jumps into and he gets stuck because he’s quite chunky. We also see a 1920s copy of Newt’s book, Fantastic Beasts and Where to Find Them, featuring gold and blue (no reds) – we kind of want to own that copy, as well as all the other editions out there! As we know from our talk with Martin Foley in the Art Department, we’ll see inside Newt’s home, specifically his basement, which is a magical creature hospital, of sorts. Bohanna speaks about one of the props we’ll see in the basement, facilitating Pickett’s character as the clingiest Bowtruckle around! “We have Newt’s menagerie this time, so we go into his basement where he’s got like an animal hospital. And there’s a desk and everything, and then he has this little tree, and he’s able to put Pickett into this, so he’s just in like his own little Bowtruckle tree and he’s able to go and rest and take it easy for a little bit and watch Newt do a bit of paperwork, so that was a lovely little thing to make. “So taking all of that and then throwing an eccentric, shy Englishman into the middle of that is just brilliant. It’s just fantastic. It mixes it up so well and it’s so novel, really. So I loved that, and then the nice thing about this film is that that carries on. 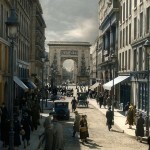 What are you most hoping to see in wizarding Paris? 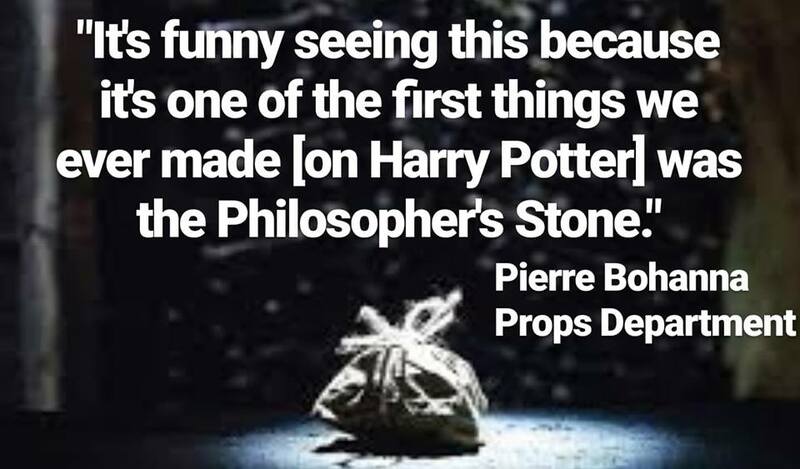 We can’t wait to see how the Philosopher’s Stone features, and for replicas of Theseus, Flamel and Bunty’s wands to be released! 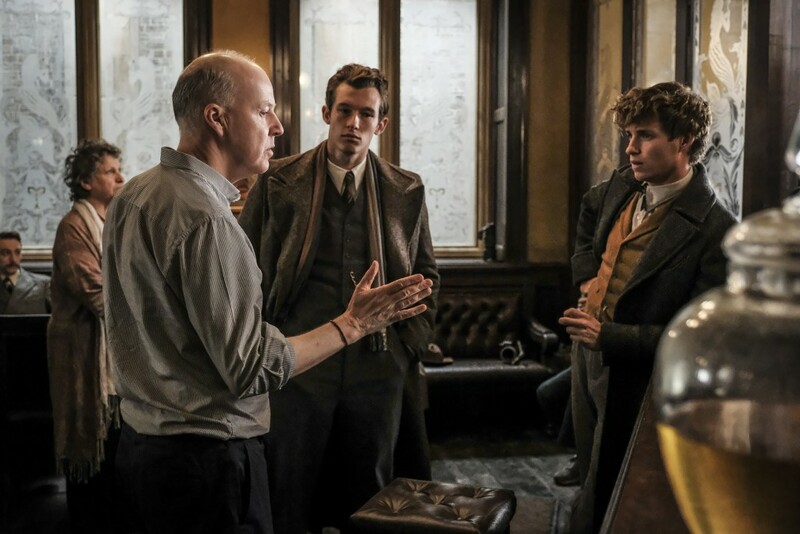 Next up, our interview with director David Yates, who stopped in the middle of wizarding Paris set to chat about the directions this series is taking, and a few key characters! Catch our report from the Art Department with Martin Foley here, interviews with theProp Department’s Pierre Bohanna, producer David Heyman, and stay tuned for more! 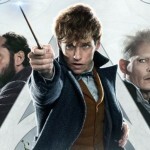 and stay posted for coverage of interviews with Eddie Redmayne (Newt Scamander), Callum Turner (Theseus Scamander), Ezra Miller (Credence Barebone), and costume designer Colleen Atwood! Leaky would like to thank Warner Bros for this exclusive coverage of yet another instalment in J.K. Rowling’s Wizarding World, and also Pierre Bohanna, for generously giving up his time to talk to us more about ‘Crimes of Grindelwald’ and giving us a tour of the props department!